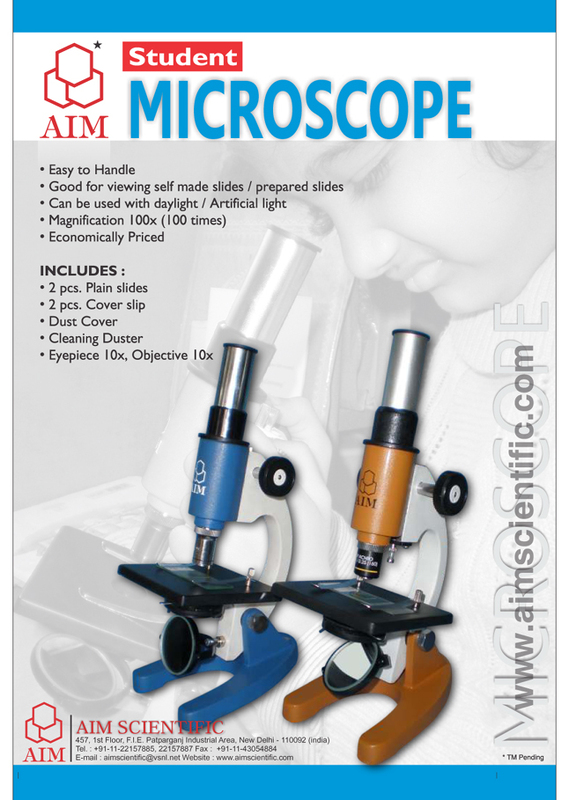 Funnels, Filtration, Plain 60º Angle with Stem. Funnel, Thistle for Kipps Apparatus. 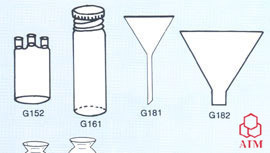 Funnels, Separating, Pear Shape with Stopcock and Interchangeable Stopper, Plain Stem. 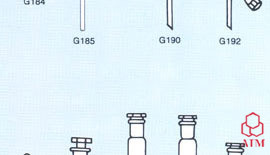 Funnels Separating Same as C/N G190 but with PTFE Key With Rotaflo Stopcock and Interchangeable Stopper Plain Stem. 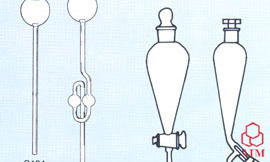 Funnels, Separating, Globe Shape, with Stopcock and Interchangeable Stopper, Plain Stem. 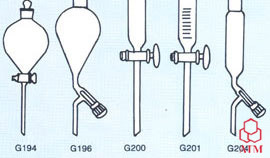 Funnels, Separating, Globe Shape, with FTFE Key Rotaflo Stopcock, Interchangeable Stopper. Funnels, Dropping Cylindrical With Interchangeable Stopper And Stopcock. Funnels, Dropping Graduated Same as C/N G200. Funnels Dropping Cylindrical With Interchangeable Stopper And PTFE Key Rotaflo Stopcock. Funnels, Dropping Graduated Same as C/N G204.